Odisha Sarees not only a item love by women in odisha or india. 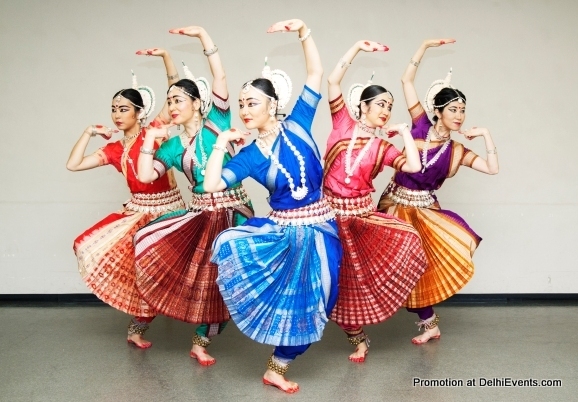 As Odissi dance is getting popular in Japan. More and more women dancer buying cotton sarees and silk sarees while travelling in India or they shop online from best shopping sites in India. Indian women took the major portions of online shopping in last year and this trend continue to rise in coming years. Women in india shop more than 30 % of shopping and they are mostly inclined towards fashionable clothes, sarees, accessories, shoes, watches and perfumes. As more and more women in india now working in govt and private organization and having internet at work make them easy to shop online during breaks. Women totally purchased more than 500 billion dollar of goodies for them in last year and this will grow more 30 to 40 percentage in 2014 as per a private marketing research company. The worst part is traditional shops going to be affected by this huge change of marketing changes, even most the shops started setting up small e store to boost their turnover and sell. As world going to change it self in form of technology and fast moving because of new age smart phones which make women more close to shopping online when ever they want, wherever they are. In coming three years india will triple its mobile and tablet users which boost online sale and thanks to these beautiful women to change the world for these online shopping sites in india. India is a vast country and each place comes with some special thing to see. Same for cotton sarees each of indian state have different famous sarees which love and appreciate by beautiful women in india. Saree is not only a home dress any more, ladies from all part now started wearing it and make it a official attire. Even some of the corporate house and hotels made saree as uniform. Because of the demand cotton sarees demand rising day by day, all of them prefer handloom saris woven by hand. The Indian apparel sector is as diverse as the country’s culture and traditionally a stark contrast existed in the fashion trends and preferences between the metros and the rest of the country. This difference is gradually beginning to fade as a consequence of the ecommerce boom. Today, regions that had little brick and mortar clothing retail penetration have the choice of ordering fashionable clothes online. This semi-urban and even rural population is now exposed to trends and fashions of the city dwellers thereby creating this intensely dynamic market for the apparel industry. This new wave of awareness, aspiration and opportunity presents a massive opportunity for clothing manufacturers and marketers to sell to an almost virgin market. Add to this the reduction in the cost and hassle of setting up brick and mortar retail outlets in obscure regions. Ecommerce portals have gone on record saying that half or sometimes even more of their sales come from Tier II and Tier III destinations. It is also worth noting that apparel retail is picked up steam over the last three years thanks to players like Jabong, Fashion and You, Myntra, Zovi and even Snapdeal and Flipkart. According to reports, Tier II and Tier III destinations account for 55 percent of Myntra’s and 50 percent of Jabong’s sales making it evident that apparel and accessory absorption in these regions are higher than others. According to a recent ASSOCHAM report, the online shopping market in India is worth almost Rs 52000 crore and is growing at a whopping 100 percent per year. It is likely that the evolution of the ecommerce industry in India will follow the lines of the industry in China. The latter witnessed a massive surge in ecommerce usage in the last 5 years and even this fascinating trend of manufacturers directly approaching the online marketplaces to sell their products. This cuts a great deal of interim costs and also facilitates an almost direct interaction between the buyer and the producer. If ecommerce is successful in bridging this gap in India, there is likely to be a major revolution for the apparel sector especially with respect to the Tier II and Tier III regions. Considering the huge employment and role that the supply chain plays in India, it is likely that the model will undergo significant adjustments before becoming a part of the Indian apparel landscape. Small towns today are more exposed than ever to the glitz and glam of global fashions. This almost sudden exposure has in fact made a strong impact on their purchase patterns. The average Indian Tier II and Tier III city dweller has realised the value and proposition of brands in the clothing industry. Today they are no longer looking to just imitate the metro dwelling rich but rather acquire their own taste and develop their own style. There is a strong influence of television and movies, however, this is the first generation of consumers in the region who want to have their own fashion identity. With ecommerce penetration increasing in these regions, more and more, brands are expected to directly target this set of consumers who have more purchasing power than the traditional beliefs. For marketers, the Tier II and Tier III destinations in India will provide a new landscape where they have the opportunity to present their brand in a new light. Companies who have made or not made an impact in the urban landscape can in fact look to tap into this booming market through competitive pricing, region/dialect/community specific brand elements and above all good public relations. The last factor plays the most important role in these markets as buyers are known to be less experimental than the metro dwellers and are most likely to have a favourite clothing store from where they have been shopping for generation. The opportunity worth tapping is this set of stores in these locations which are trusted brands in themselves. Leveraging the trust of these consumers on these stores is likely to be a winning formula for apparel brands today. Similarly, it is extremely crucial for marketers in the apparel space to understand regional tastes and sensibilities. An understanding of the demographics, purchasing power and above all locally popular motifs, designs or patterns is also a critical aspect of entering and thriving in these markets. Brands such as W, Westside and Pantaloons have acknowledged the massive demand arising from these regions especially for products such as sarees and kurtis and therefore revealed plans to expand in these regions. All these retailers revealed that Tier II and Tier III markets have shown extremely promising growth and the next wave of demand will come from them. For the online retailer, the biggest advantage is their pricing. However logistical challenges such as delivering goods in remote areas continue to be a challenge for many of these players. For these players as well as the large format organised retailers another window of opportunity lies in the fact that ethnic wear even today is dominated by unorganised retailers and tailors. Their strategy can either be to bring these retailers and tailors under their wing or competing through pricing. To achieve the latter, these organised players will have to fight another major battle and that is to make the small town girl walk into these large fancy stores with air condition and a customer care person ready to guide her. For a market so large, penetration is far important than competition in the Indian retail sector today. However as explained above, there are also several challenges and specific strategies to enter and win in these markets. While the large players have a head start, the future of Indian apparel retail will revolve around small and midsized players who recognise and make the most of the opportunity that Tier II and Tier III India offers. All of that odia songs are not easy to figure out, how they came into action by those old music directors. Our industry definitely heading towards better. We Probly going work on more to make our odia songs best in the world. But from all media odia bhajan are still numberone and people like it very much. We have legends like Bhikari Bal, Aravind Muduli and many more who still stopping our heart by their songs. As now everything we can get in online. We can watch odia movie in youtube and other websites. Odia video of bhajan, songs, trailer all now available also for online shopping in Odisha. We Need to keep standard of our odia film high, because now people from all cornor of world can see oriya video, oriya mp3 through websites easily just in one click, from PCs, laptop, mobiles, iPad, etc. As now we can shop clothing, accessories, mobile, home decor and many more, You can join any friend and relatives by booking tickets as online movie ticket booking now available all over India. This is a Internet age so keep up a good work and make everyone proud do feel as Odia. Because in one second one of your video can go viral in youtune or any channel and you will be in top of world. Best of luck all in Odia film industry lik all actor, actress, musician, directors and each one of you involved in making it.